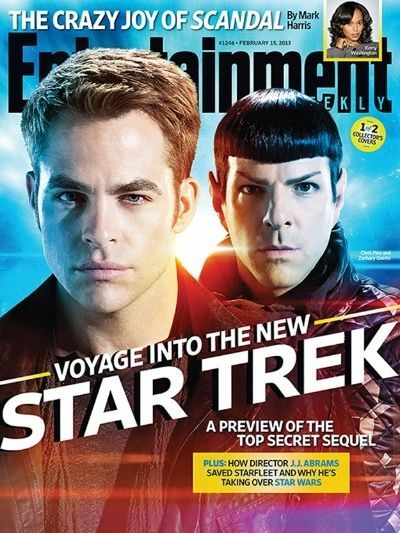 Nice to come home to the new Star Trek Into Darkness Entertainment Weekly issue in my mailbox last night. It looks like Uhura has a shiny new outfit. She was always very fashion forward.